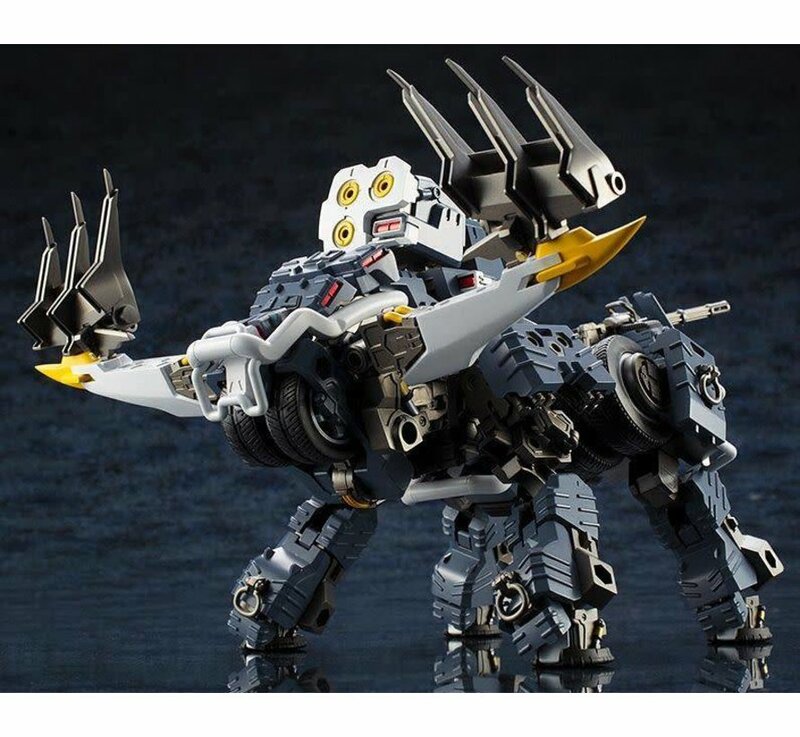 Demolition Brute is a combat Hexa‐Gear designed and developed by the Valiant Force. 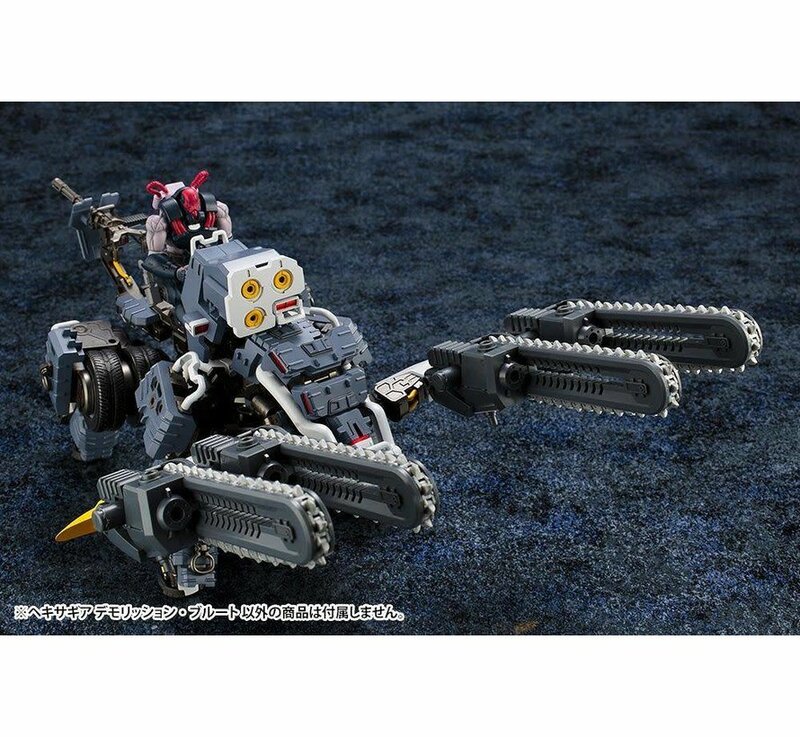 The Hexa‐Gear comes with attachments similar to those of a Combat engineer Vehicle (CEV) that can be attached or removed depending on the needs of its mission. A variety of machinery can be attached to the front unit, and the Hexa‐Gear was specially designed to prioritize power and torque over speed. On the battlefield, Demolition Brute excels in close combat, and its heavy armor and powerful weaponry make it ideal for destroying enemy targets. 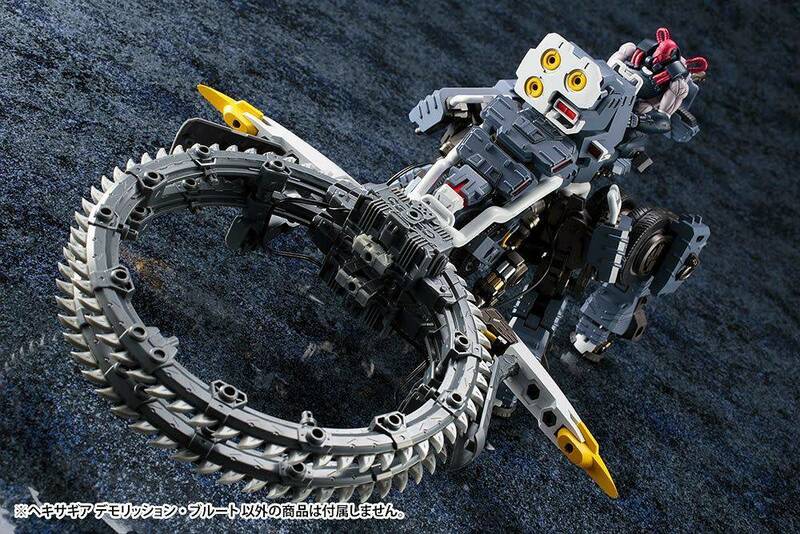 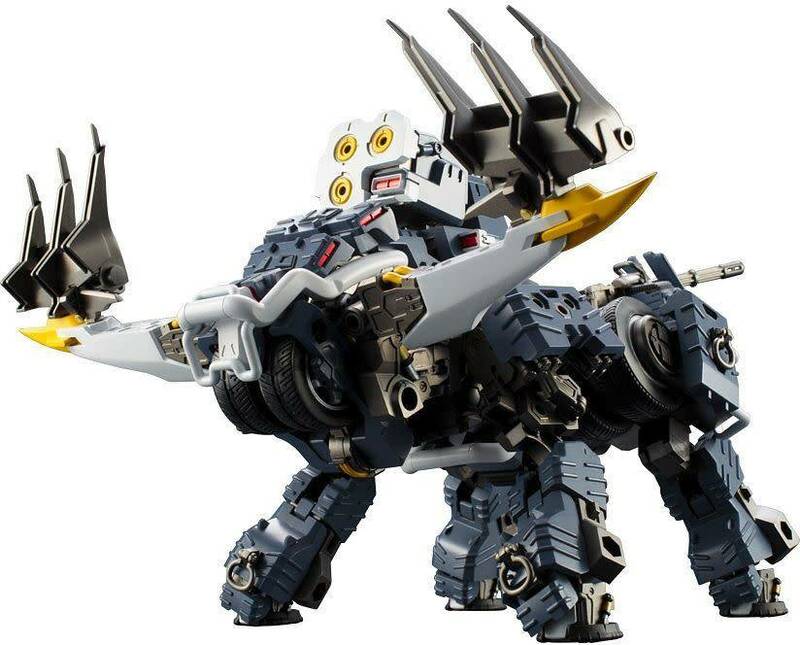 Similar to Hexa‐Gear created by Earth Cline, Demolition Brute can activate Zortex Mode, allowing it to harness the beast‐like power required to promptly and violently take down its target object. 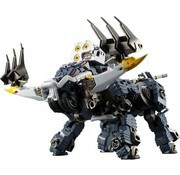 ● The model can be converted into Zortex mode from CEV mode. 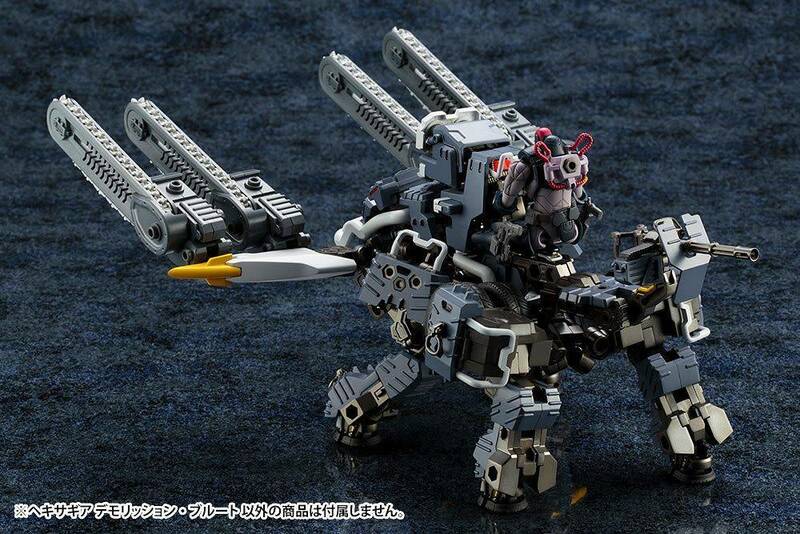 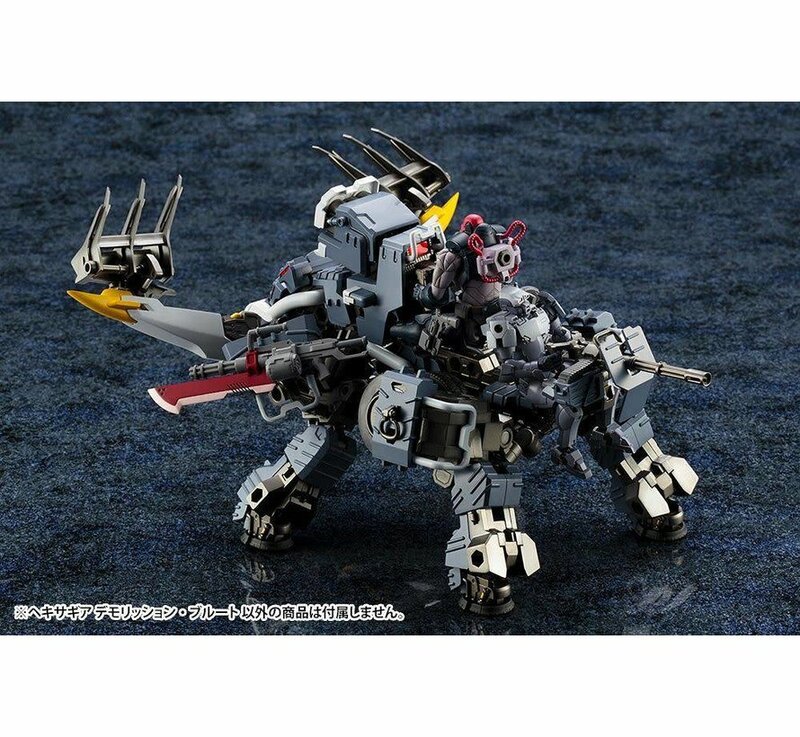 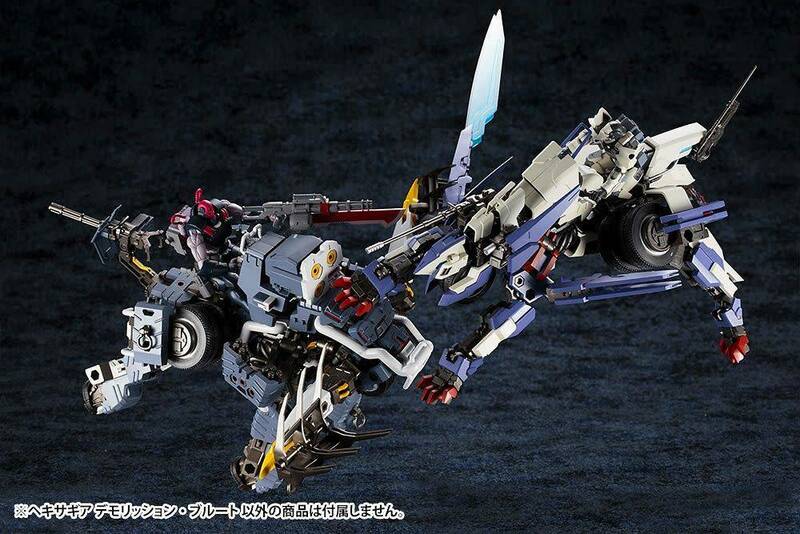 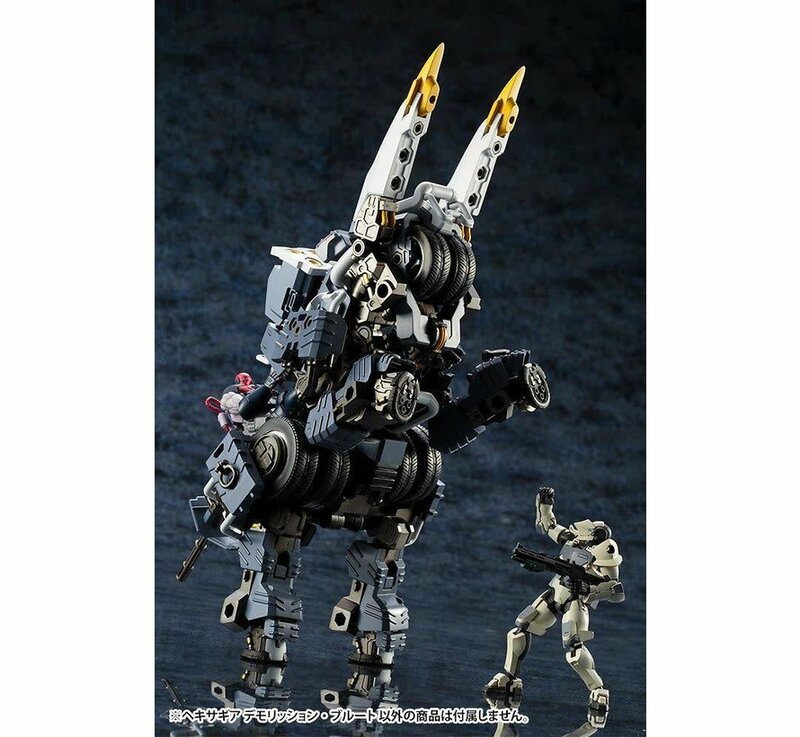 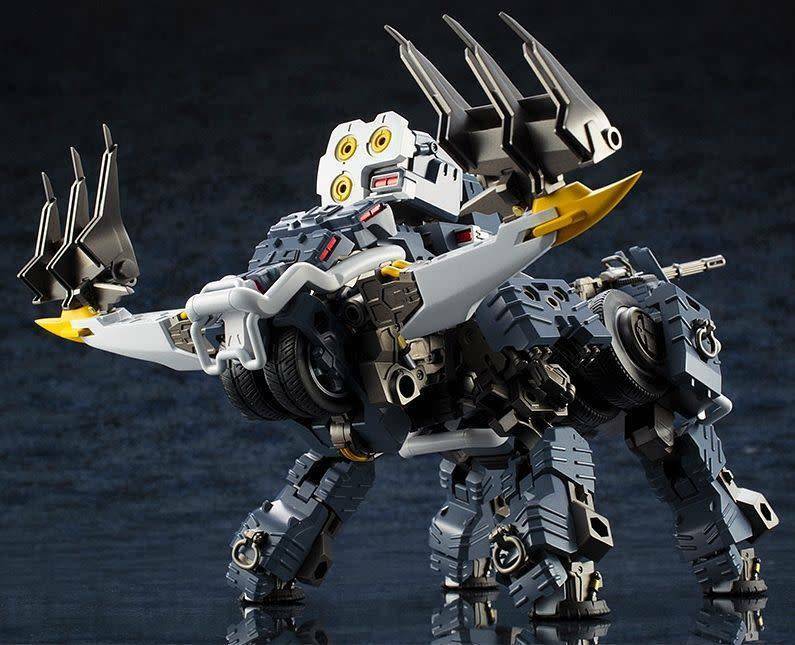 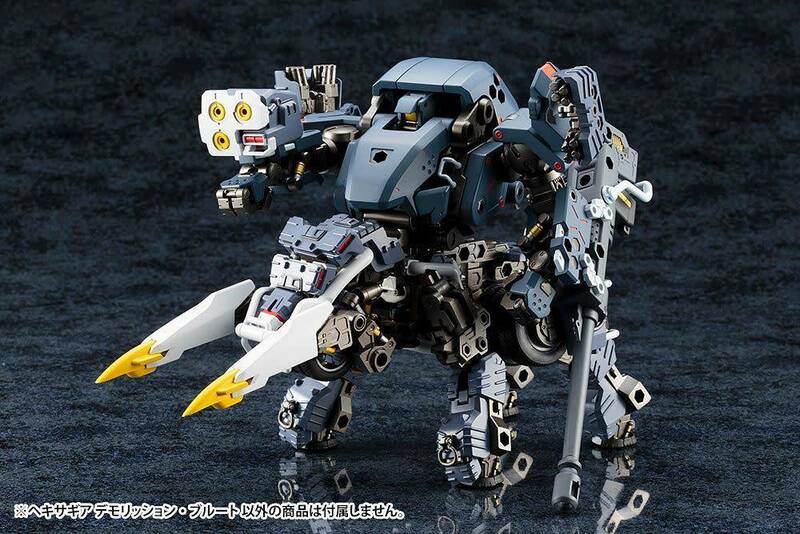 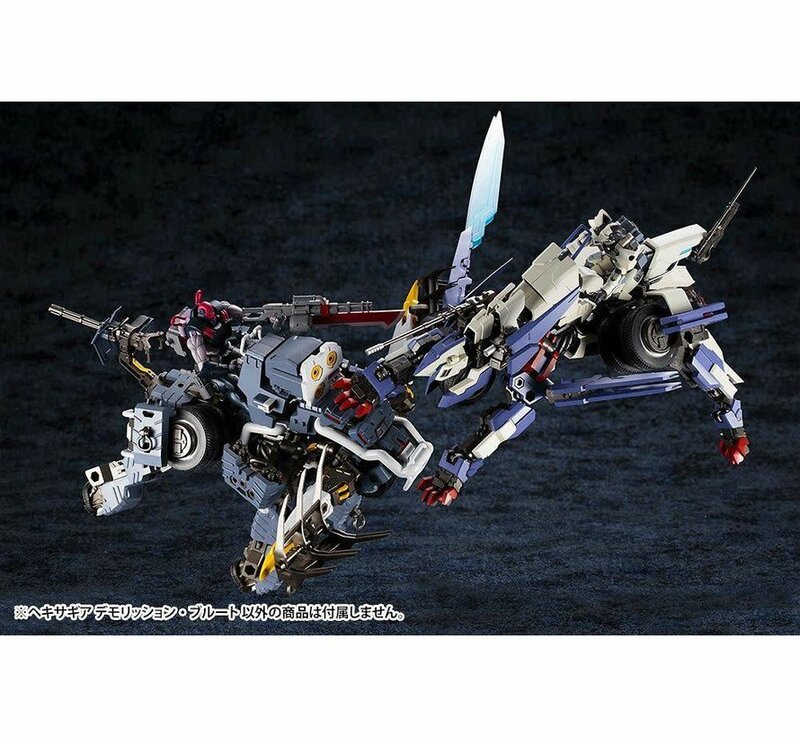 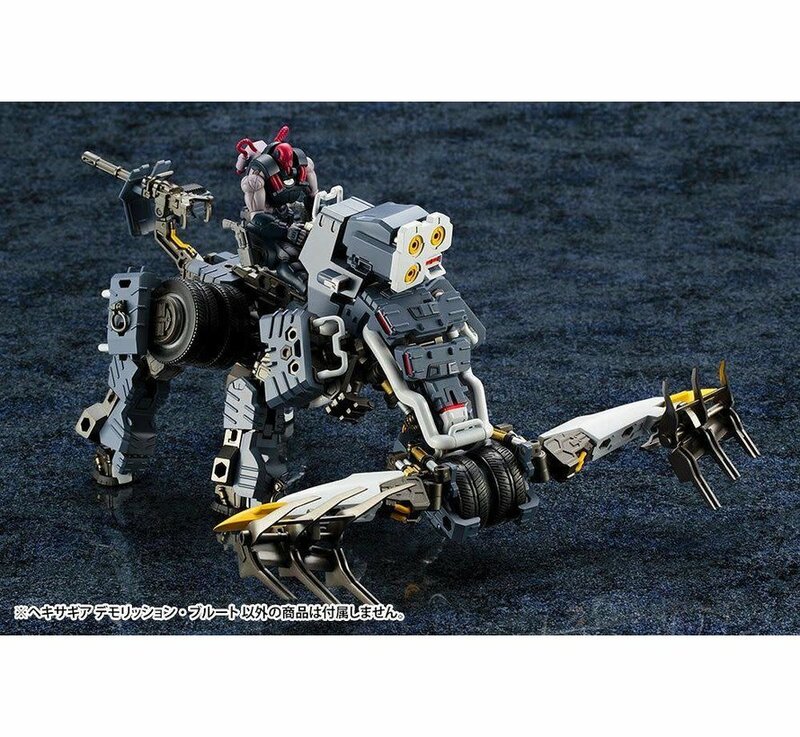 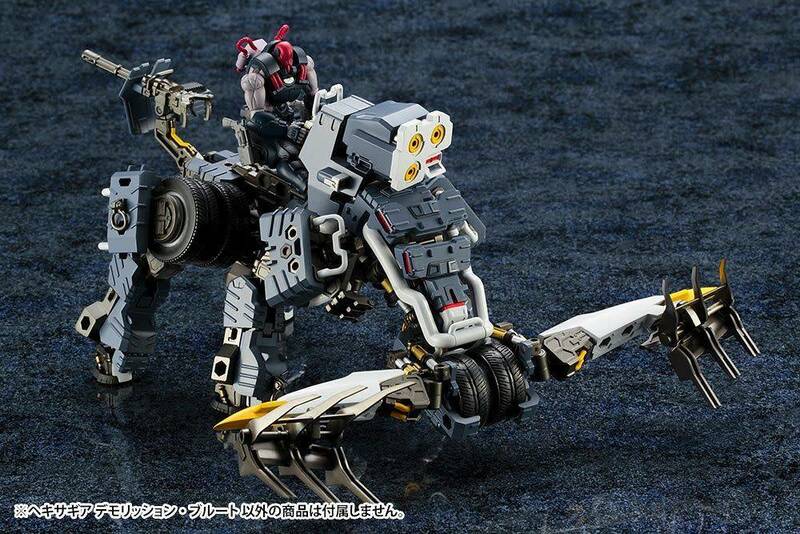 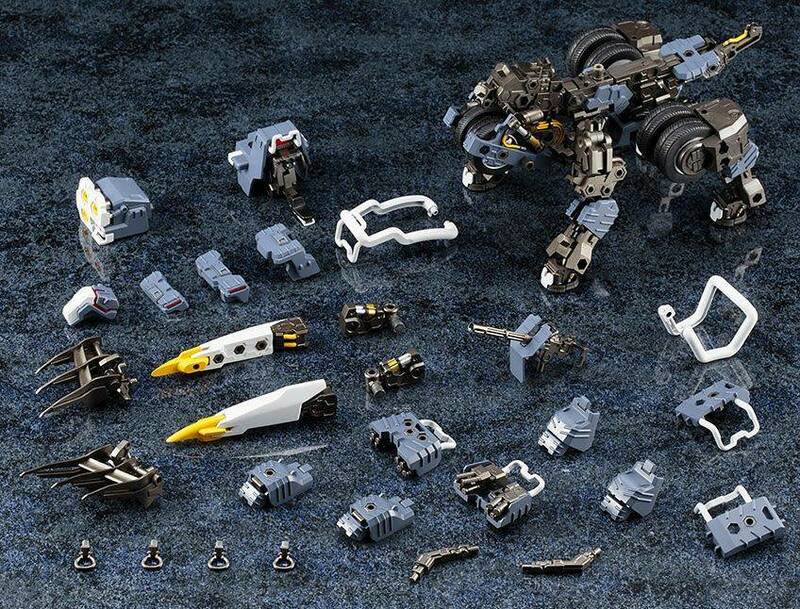 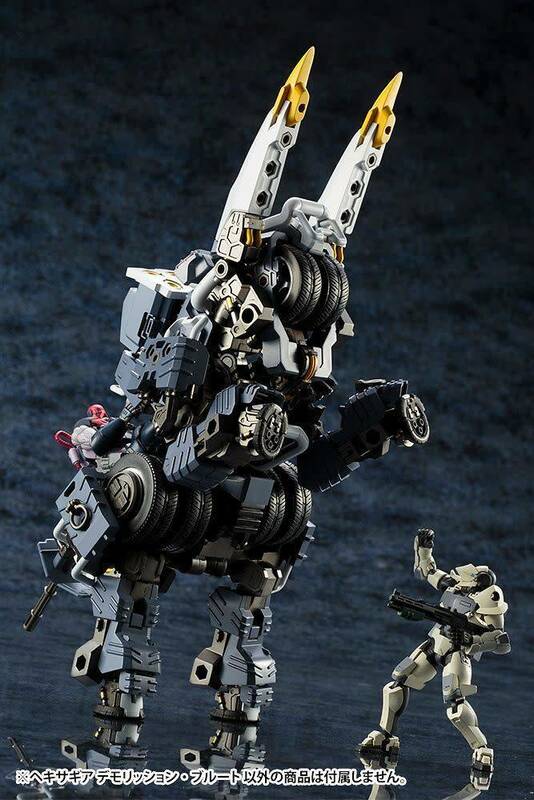 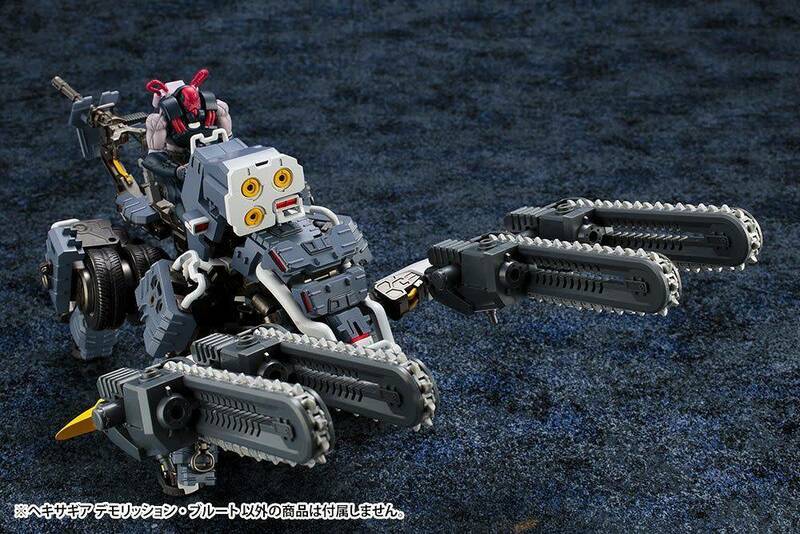 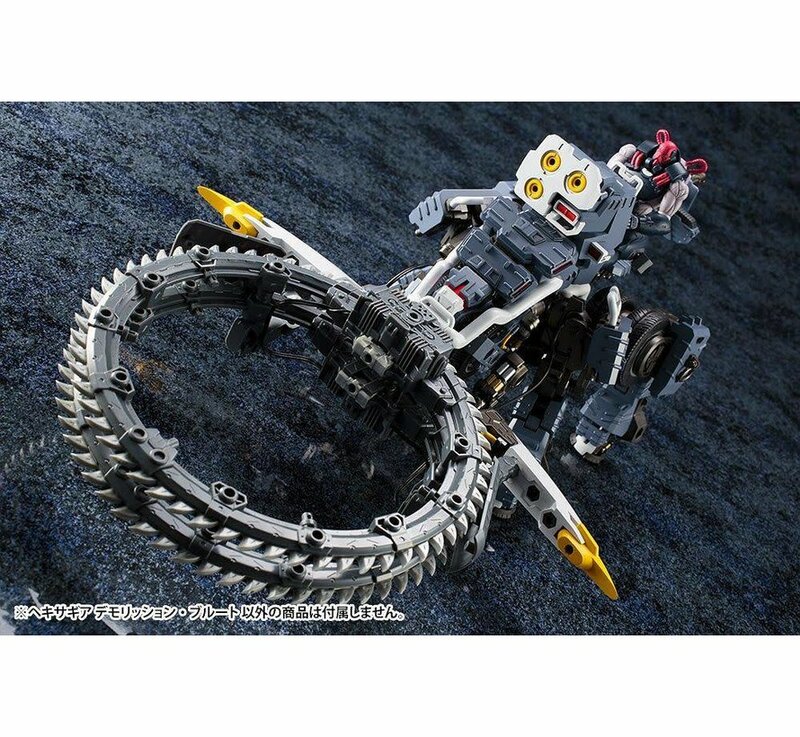 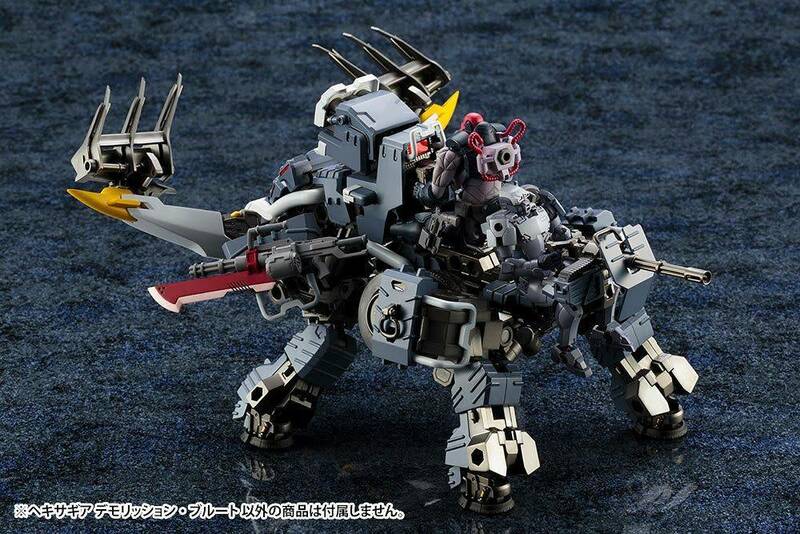 ● The batering ram is equipped with several joints that can be used to aƩach the included power plow parts or other Hexa‐Gear weapons (sold separately). 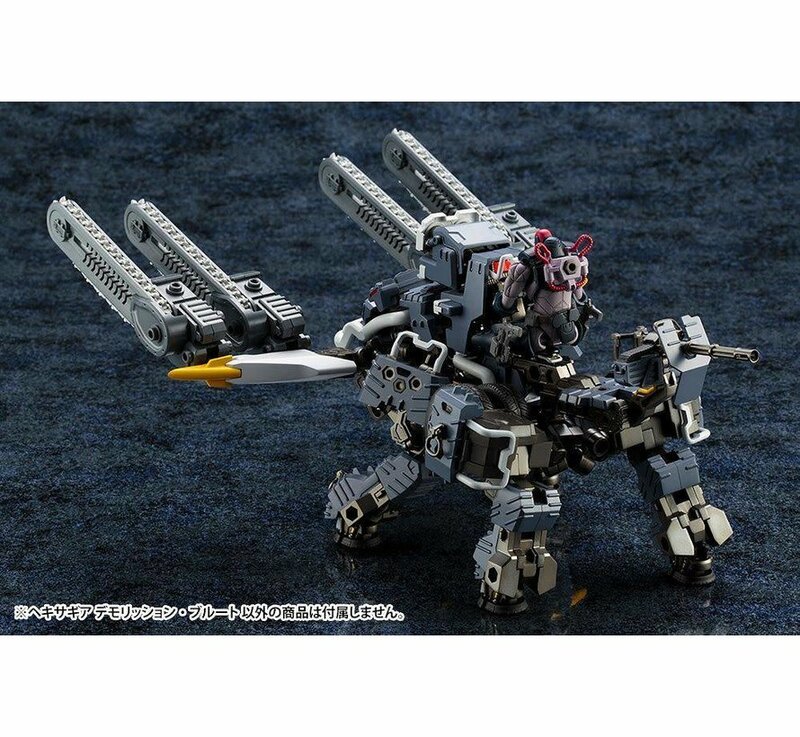 ● The defensive mini gun aƩached to the back of the model can be used as a gun turret or it can be removed and used with one of the Hexa‐Gear Governors. 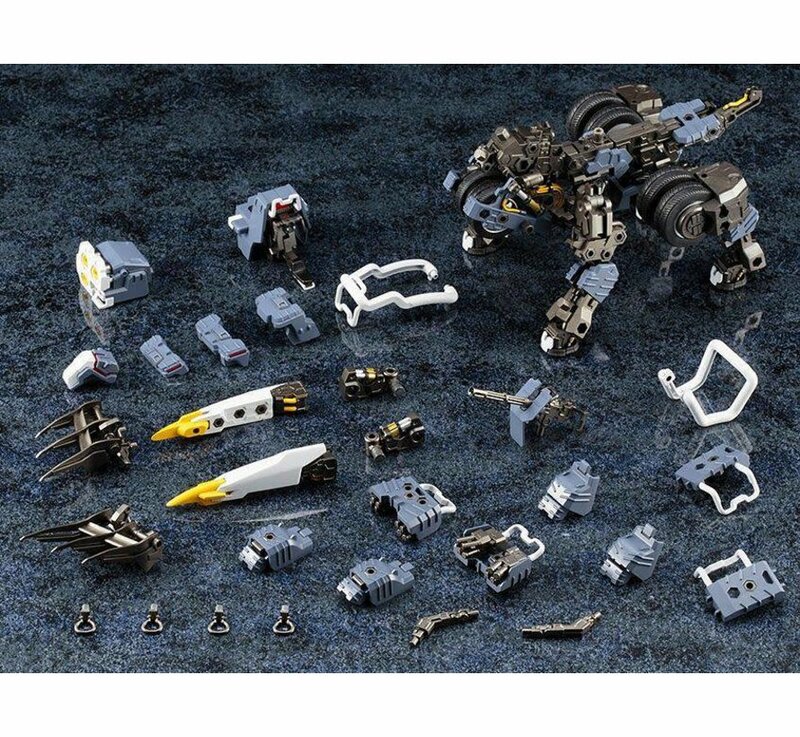 ● The sensors and console in the cockpit are made of clear plastic. 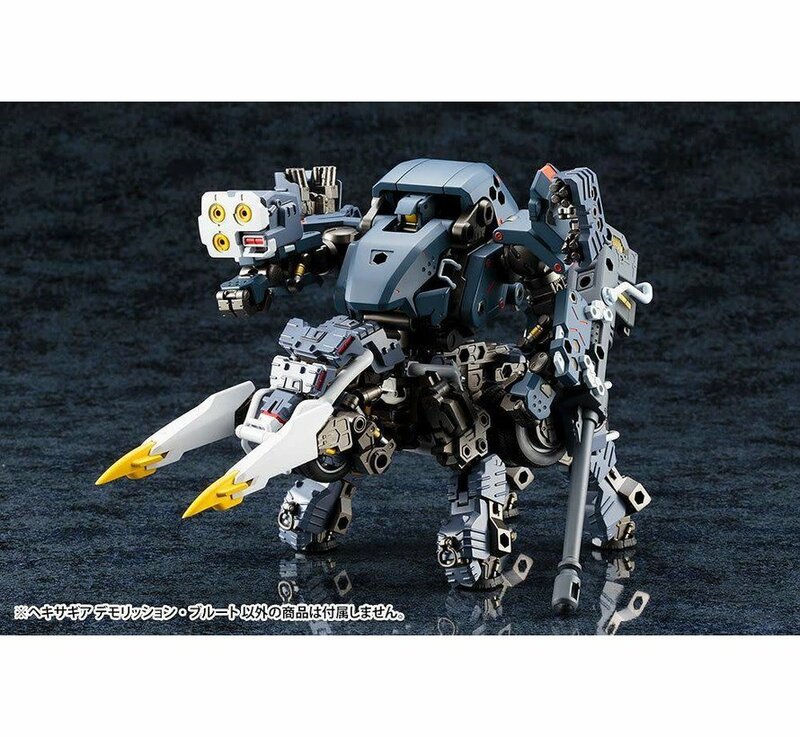 ● The multi‐lock missile can be moved up and down, and the cockpit is equipped with a 5mm joint that allows it to be removed independently and attached to other Hexa‐Gear models.